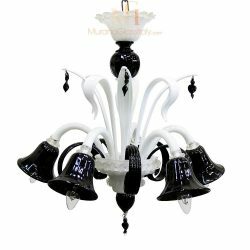 White milk glass with delicate black detailing meets a perfect vintage execution, a true eye candy! 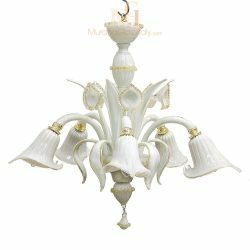 Make a fabulous modern statement with this exclusive contemporary design, altogether offering a unique presence. 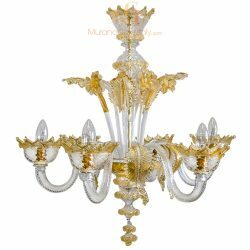 This chandelier is mouth blown in Murano, Italy, with great attention to detail and offering the very highest quality standards. 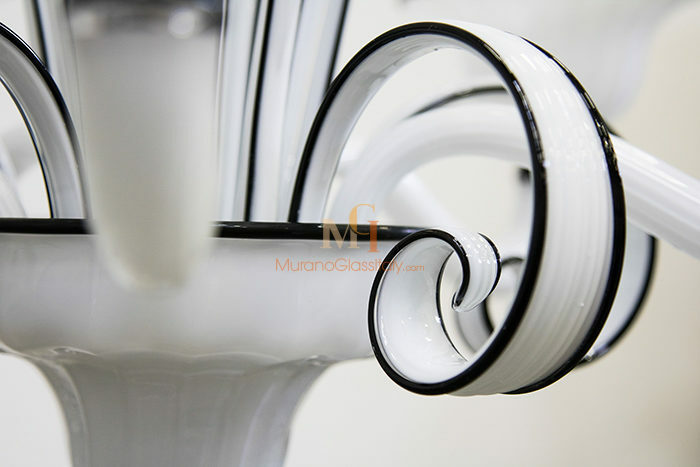 The design of the Murano glass light has a vintage vibe, softened with a rounded perspective and a timeless luxurious color theme. 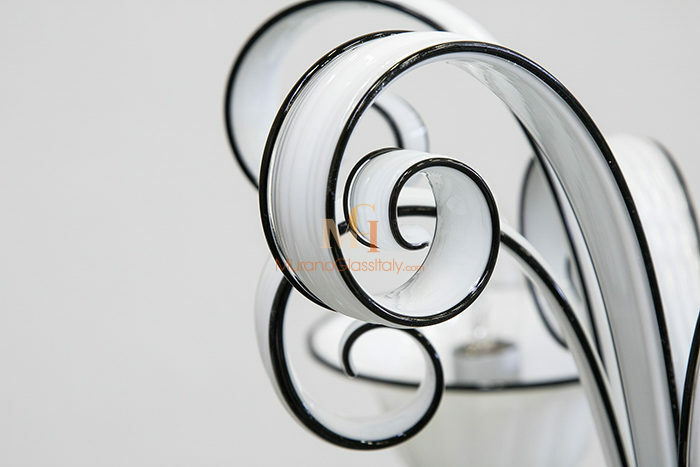 Perfectly suited to place in any modern home to provide a striking focus. A statement lighting design can turn any space into an authentic luxury ambience. 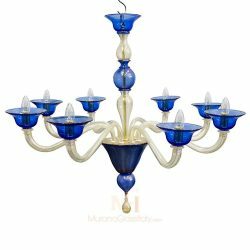 This stunning example of the delicate artistry is 100% handmade and goes back to a 1000-year-old glass blowing tradition of the island Murano, Italy. 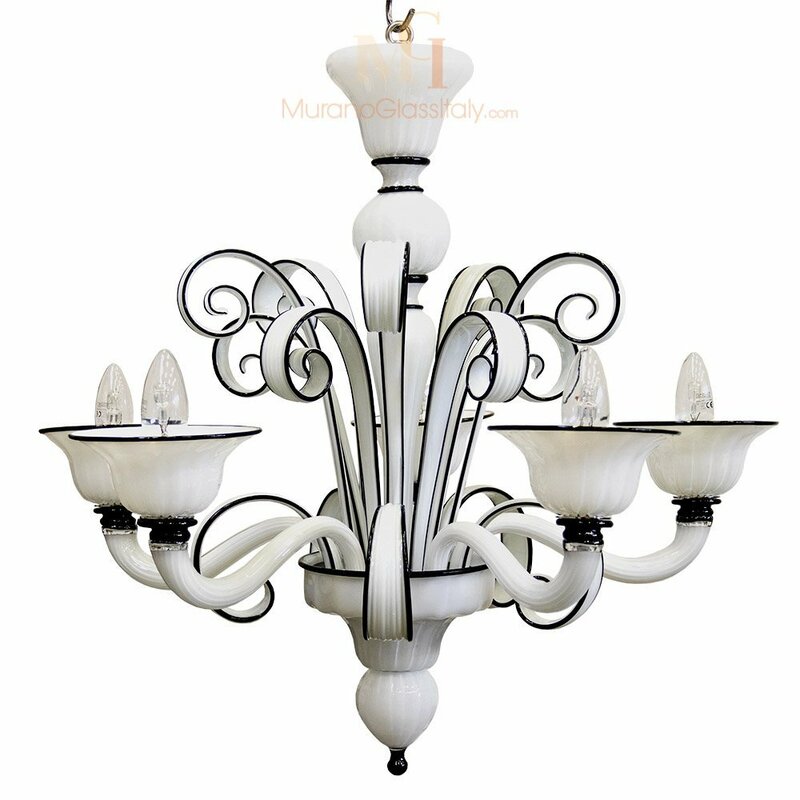 The displayed chandelier can be customized in the number of lights and colors to fit your interior perfectly, for more information contact us at customer@muranoglassitaly.com.